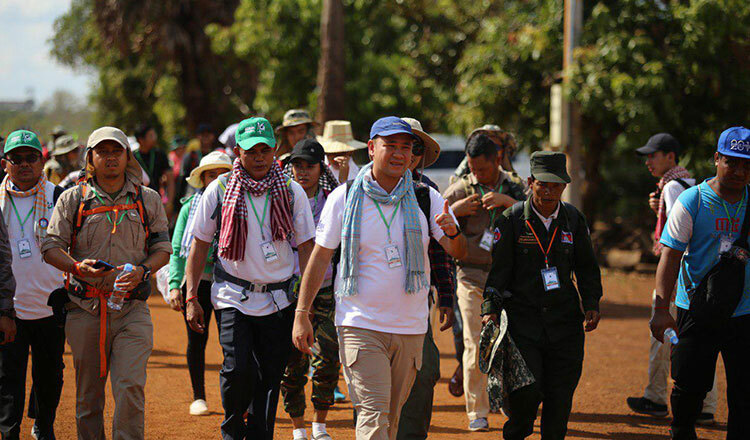 The Union of Youth Federations of Cambodia yesterday began a trek through history to mark the establishment of the Solidarity Front for the Development of the Cambodian Motherland. 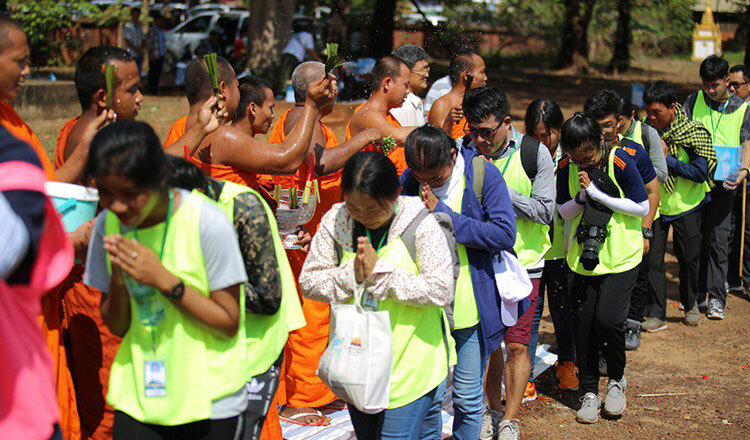 More than 700 people gathered on Koh Pich island yesterday before departing to Tboung Khmum province where the two-day trek began. 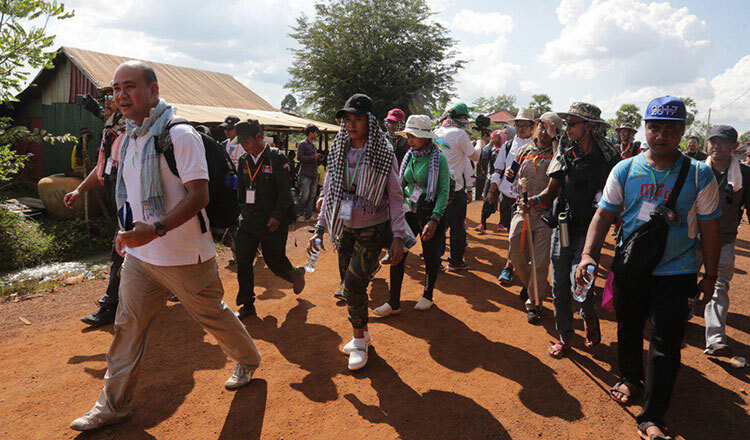 The group will hike from the province’s Memot district to the Pi Thnou Monument in Kratie province’s Snuol district. The 40-kilometre journey will commemorate the 40th anniversary of the founding of the SFDCM on December 2, 1978, and the role youths played at the time. UYFC president Hun Many yesterday said the organisation is aiming to reflect on the sacrifices made by Cambodian fighters to free the nation from the Khmer Rouge. 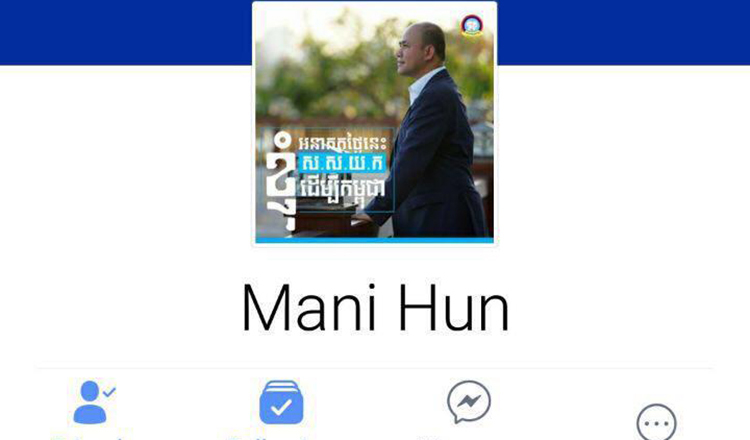 “I believe that our youths have heard of the bitter history of a group of young people that formed the SFDCM to liberate Cambodia,” Mr Many said, noting that SFDCM members had to cross minefields and forests to solidify the organisation and overthrow the Khmer Rouge. “Based on this, we know about the history and we would like to trace their footsteps,” he said. Mr Many noted that participants can learn about patience, struggle and hardship during the trek. He said participants can also test their will. The group is divided into small teams for the trek. The journey will last two days with a break every ten kilometres. A Buddhist ceremony to pay tribute to SFDCM youths will be held upon arrival at the Pi Thnou Monument. The group is expected to be back in Phnom Penh on Saturday. Participant Vey Sitha, 27, said yesterday that she finds walking long distances difficult, but noted that she has prepared for the journey. Mun Sophon, another participant, said the journey is important to build solidarity among today’s youth.